Tucson summers are brutal, and there’s really no way of denying that. If the care you drive is an older model, then the chances of you experiencing the memorable feeling of sitting in a car that’s overheating, are pretty high. While it gets you from A to B, if you have a car that overheats on a regular basis, it’s good to know what steps to take so that your car doesn’t get the most of these incidents. 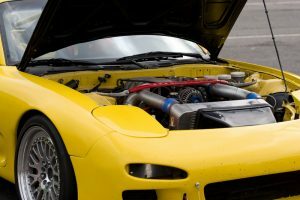 Here are a few tips to take advantage of when you find yourself in a situation where your engine is causing your car to overheat. Keep an eye on your thermometer. If you have a car that overheats often, keep an eye on your thermometer as you drive so that you can gauge an estimate of how many miles it takes for your car to get to the point of overheating. If it happens quite a bit, especially if it happens at a quick rate, make sure to keep a bottle of coolant in your car at all times. Your AC puts quite a strain on your engine. In an attempt to lower the amount of work that your engine has to do, turn off your AC and opt for windows rolled down. This will keep your car cool without working your engine at all. Turn up your heater to cool it down. If it really comes down to the wire, your best option will be turning on your heater and blast it. This sounds awful, right? Especially in the Tucson heat, but the truth is that it will cool down your car at an incredible rate. When you blow the heater at full effect, your engine will push the hot air from your engine, into your car, and cool it down in the process, making it a great situation for all. While these three steps are all great to follow when you first notice that your car is overheating, the problem is much more serious than any rolled down window can solve. Stop in and trust the team of mechanics at Milex Auto Center to get your car back in the condition it needs to be to drive comfortably.